Selected articles from Cem Özmeral’s published books : Sur İçinden İstanbul, Dere Tepe İstanbul and Özlediğim İstanbul translated to English. Cem Özmeral, who likes to be called istanbullite is an Istanbul enthusiast and old Istanbulian who lives in Columbus Ohio since mid 1970ies. When he goes back to Istanbul almost every year it‘s not for vacation but to wander the streets of the ancient city and to write about the lesser known subjects. He goes up the hill and down the river, inside the city walls of the historic peninsula and outside, below the city under the ground and above over the bridges crossing the two continents. All of thisis done to observe and to talk to locals, to check ancient sites and buildings, to take notes pictures and then go back home to research and to write. His writings are like a gumbo, mashed and mixed with memoirs, travelogues,historical figures, local people, monuments, sightseeing and even family members and friends. He purposely omits the popular tourist attractions and landmarks .Instead he concentrates on the lesser known areas. 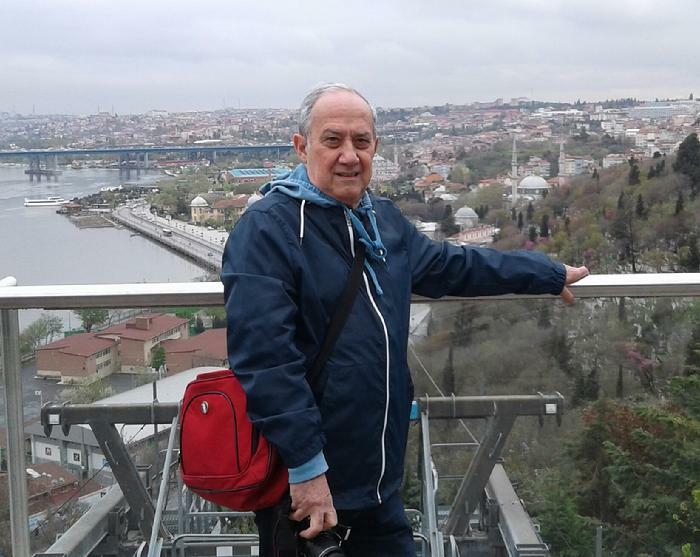 He has three published books about Istanbul, all in Turkish and a website called istanbullite.com, with over 400 sections and with as many writings and thousands of pictures. Spelling Istanbullite with two L’s is not a typo, it rather points out that the writings shed light to Istanbul. Istanbul Wanderer is a collection of Özmeral’s writings from his three published books translated into English and some unpublished works from his website. Please note this is an ongoing project under construction with a new translated article to be added as time permits. CONSTANTINE COLUMN,TRUE CROSS UNDER ISTANBUL ?